Right that's me done for tonight. Thanks for joining me and see you soon. 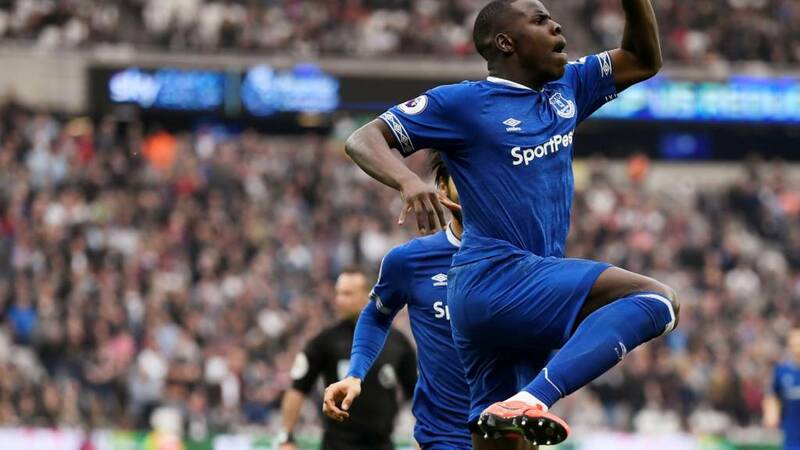 The headline says it all doesn't it.But my colleague Tom Rostance has crafted a rather nice match report depicting West Ham's capitulation AND a decent Everton performance. You can have a read of that here. "It was one of those bad days when you could not make two passes in a row. We had a complete disaster attacking and defending. I expect them not to concede the goals and fight for seventh position. I think it is difficult to understand why we could not do it. "In football you never now but we will talk with the players and make them understand that the season is not over. "You are frustrated as a manager because it is not the way we wanted to do it." In case you're wondering just what else happened earlier in the Premier League. Here are the scores on the doors. Fair to say some supporters have had a better day than others. More from the Everton Marco Silva speaking to BT Sport. "I am really proud with what we did from the first minute. I’m pleased about our players and our fans. We played like we can play away from home. We showed our desire and how to achieve the win by creating chances early on. "Two nil at half time as a good result for them because it could have been five or six nil. We created chance after chance. "We are getting stronger as a team and getting solid but I want more and more and more. You can see our quality. I have big confidence in our players and with what we are doing." "All the players were making mistakes especially defending in the first 15 minutes. We are conceding too many goals at set-pieces. It was an easy goal for them to score because we didn't jump. I made two changes at half time but all the players had a bad day. "Marko Arnautovic was playing with some pain in his knee. He received a injury in the same knee on international duty for Austria so maybe he was not 100%." Everton manager Marco Silva, speaking to for BBC MOTD: "I was very proud of our performance and seeing our desire from the first minutes. "It's always difficult to play here, but since the very first minute we were the best team on the pitch. "We were playing good football and creating chances. Our second goal was a really good moment. We can score more, of course. We controlled the second half,. "It was a fair result, a very good performance and an important three points." "Very disappointing because without a doubt it was the worst performance of the year. You can lose but not like that - without fighting. "Everton were two points behind us. Watford lost before we started and it was an opportunity to demonstrate we could be in another position in table. It's not the first time it's happened. We found it impossible to make two passes in a row." Now if you are not quite sure what else has happened today we've got a round-up here which will pretty much bring you up to speed. Everton right-back Seamus Coleman, speaking to BT Sport: "We want to finish the season strong and target that seventh place. "That win last week gave us confidence and I thought the lads played brilliant today. We want to keep building. "Bernard made a great run and I thought his goal topped off his performance." Everton goalscorer Kurt Zouma, speaking to BT Sport: "I'm very happy and proud. We wanted to start strongly. We kept the ball well. "We dominated the game, we started the game on the right foot and we wanted to score more goals. We're happy with two goals and a clean sheet. "We want to win as much as we can, but we will take it game by game." Here's what Everton's win has done to the mid reaches of the Premier League. As I was saying earlier it's pretty congested. Joseph: I'm sure after the game there will be questions about Pellegrini's job but seriously those players should take just as much if not even more. Disgraceful! Everton move up to ninth in the Premier League table with their first back-to-back league wins since October. Referee Paul Tierney blows up. West Ham have been put out of their misery. West Ham could do with just parking this performance. They have been pretty dreadful throughout. But next up are away trips to Chelsea and Manchester United. Just what you want eh. Theo Walcott is going to get a late run out for Everton. Richarlison makes way for the former Arsenal man. Eniitan: Some days you will watch West Ham & you will ask why they're not challenging the Top 6. Some days you watch them & ask how they are not in the relegation places. Very inconsistent. Dominic Calvert-Lewin makes way as Turkey forward Cenk Tosun trots on for Everton. Another Everton change looks incoming. Cenk Tosun is stripping off.